Used car guys wanted to offer the public an easier, friendlier and fairer way of selling their used Toyota, any condition and any age. The team at Sell Toyota for Cash is made up of automotive trade professionals, with a combined experience of over 20 years. Our websites has been developed with our customers both old and new in mind. This website has been created with ease of use in mind so that you can browse through and find out more about our company and what we can offer. Used car guys are always on hand to answer any questions or queries you may have so please don’t be afraid to pick up the phone or the keyboard and get in touch and we will get back to you as soon as possible. So start now by entering your registration and details on our web site. Simply by entering your Toyota vehicle registration number and mileage, we will send you a valuation for your used Toyota instantly and free. We provide a hassle free way for members of the public to quickly and efficiently sell Toyota . Within a few hours you could have sold your car and have the cash in your hands or bank, so Sell Toyota for Cash with our website for cash, now. 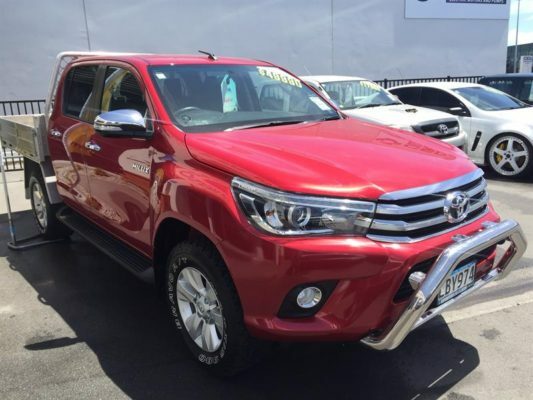 Sell Toyota for Cash buying team have years of experience when it comes to purchasing cars and are on hand to buy your car from you and offer you a cash lump sum. So if you’re looking for a competitive price for your Toyota – no matter the model – fill in our form or contact John or James on 0800 111 352. to discuss selling your car to us. When selling your car to Used Car Guys, you get all the reassurances of using a reputable franchised car dealer group (Cash for cars Auckland–Cash for cars Wellington– Cash for cars Christchurch – Cash for cars Hamilton)- plus, we take the hassle out of delivering the car to us, as we’ll arrange for the car to be collected from you anywhere nationwide, meaning that’s one less thing to worry about. In case you are thinking to sell your older used Toyota vehicle then we are there to welcome you. We will reach you at your doorstep and after free car valuation if you will accept our quote we will give you cash and will take your car with us there and then. Read more: Sell my Mitsubishi, Sell my Honda, Sell my Subaru.